NigeriaTrends | POLITICS — President Muhammadu Buhari who just returned from his medical vacation in the United Kingdom, said in his speech that Nigeria’s unity is settled and not negotiable, a reference to tension in the country. In his broadcast message to the nation on Monday August 21st, Buhari directed security agencies to fight and destroy terrorists and criminals “so that the majority of us can live in peace and safety” in his own words. President Buhari Speech 2017 continues…. “Furthermore, I am charging the Security Agencies not to let the successes achieved in the last 18 months be a sign to relax. I remain resolutely committed to ensuring that these goals are achieved and maintained. 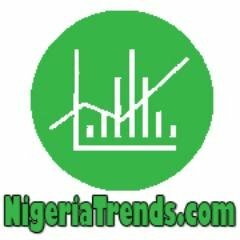 What is your reaction to this Nigeria news trend on President Buhari Speech 2017? Buhari’s Action To NASS Elections: A Credence to His Inaugural Speech?